When Pearl Jam hit cruise control for their career is debatable, and it should be said that it beats the alternative that most bands eventually succumb to—namely, irrelevance. Pearl Jam have successfully built a core audience that will appreciate every album they put out, and the band manages to land the occasional wide hit to keep casual fans and detractors from forgetting about their existence, or even viewing them as a touring act whose creative period has long passed. 1998’s Yield is a good marker in time to note the shift in Pearl Jam. Yield marks the beginning of the current lineup, with Matt Cameron subbing in for Jack Irons at drums after recording, and it marked the end of highly Eddie Vedder-centric songwriting and a return to their dynamic held on the first two albums. I mean, just look at the album title; eventually Pearl Jam would yield to most of the platitudes they raised early in their career. This made for a happier band and is the reason there still is a Pearl Jam today, but the problem is that the band’s most provocative, dynamic music has largely been written by Vedder alone, and their best aging albums are the ones where Vedder had most of the songwriting duties, Vitalogy and No Code. “Porch,” “Rearview Mirror,” “Elderly Woman Behind a Counter in a Small Town,” “Wishlist,” “I Am Mine,” “World Wide Suicide,” “Just Breathe,” “Better Man,” “Corduroy,” “Off He Goes,” and on and on; the Vedder solo compositions list reads like an alternate history of Pearl Jam, often the most directly affecting songs, usually the most tastefully restrained (as Vedder isn’t the musician his bandmates are), and without a doubt the most reliable. With Backspacer and now Lightning Bolt, the formula and automatic nature of their process is showing seams. Maybe it’s age, but the most alarming part of Lightning Bolt is how Vedder doesn’t save the album with a few tracks to add to the pantheon. After drifting into more self-indulgent territory with his Into the Wild Soundtrack and Ukelele Songs, Vedder’s urgency and fire seem to have been dimmed, like maybe writing more has tapped the well dry that would provide his usual handful of great songs every few years. 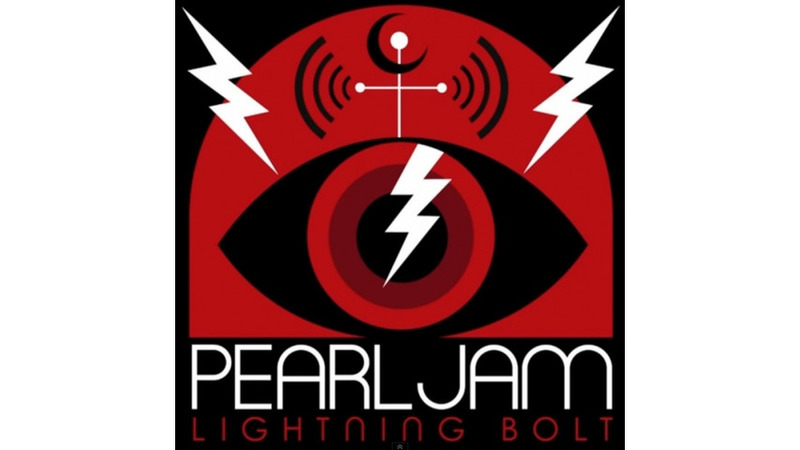 Indeed, the best song Vedder has on Lightning Bolt is one that was also on Ukelele Songs, “Sleeping by Myself,” which doesn’t gain much from the Pearl Jam treatment, seemingly added only to strengthen a weak collection. Otherwise, “Getaway” grooves like bar-room jukebox rock, not a problem conceptually but fumbled by Vedder trying to condense too many lyrics into the provided space. The title track is another near-hit, with palm-muted, slow-burning verse promising an anthem only to devolve into one of Vedder’s other strengths, the punk-homage. Together, it’s a disappointing song that could have been two decent songs with better planning. And “Swallowed Whole” and “Future Days” are both lows for Vedder as a songwriter, missing as both resonant melodies and even showcasing poor decisions in guitar tones and effects, sounding dated and tired, which Pearl Jam rarely has previously. The album does grow on the listener, as Vedder’s voice and the band’s seeming ambivalence to all musical trends and developments outside of them is strangely comforting. And maybe some of these songs will come alive when performed, but there is not a single one to love in the set. Essentially, the cruise control is running onward with disregard for all the maintenance and repairs that an engine needs, and the result is the worst album of their career.